Octane Xride Recumbent Seated Elliptical: The advantage of the xRide recumbent elliptical is that it works the entire body – unlike recumbent bikes, steppers, treadmills and upper-body ergometers. Using the arms and legs together yields a higher caloric expenditure and greater conditioning. And on the xRide, you can move forward and backward for more variety. Precor AMT Machines: When chronic, painful knee conditions make the thought of working out seem like a daunting and dreadful task, it is easy to let health and fitness goals slip. Don’t let the fear of additional discomfort or damage get the best of you; in situations like this, the key is to utilize fitness equipment that decreases the stress and impact on your knees. The Precor Adaptive Motion Trainer®, or AMT®, successfully combines the movements associated with treadmills, ellipticals, bikes, and climbers into one low-impact machine, allowing for an enjoyable workout experience that is easier on your knees. Precor EFX Elliptical Crosstrainers: An elliptical is a piece of exercise equipment that combines many of the best qualities of a stationary bike, treadmill and stair stepper into a single piece of equipment that simulates running. The movement is smoother, however, as your feet move in a circular motion rather than strictly up and down. This sort of gliding motion is very natural for your body and helps to provide a full-body workout. 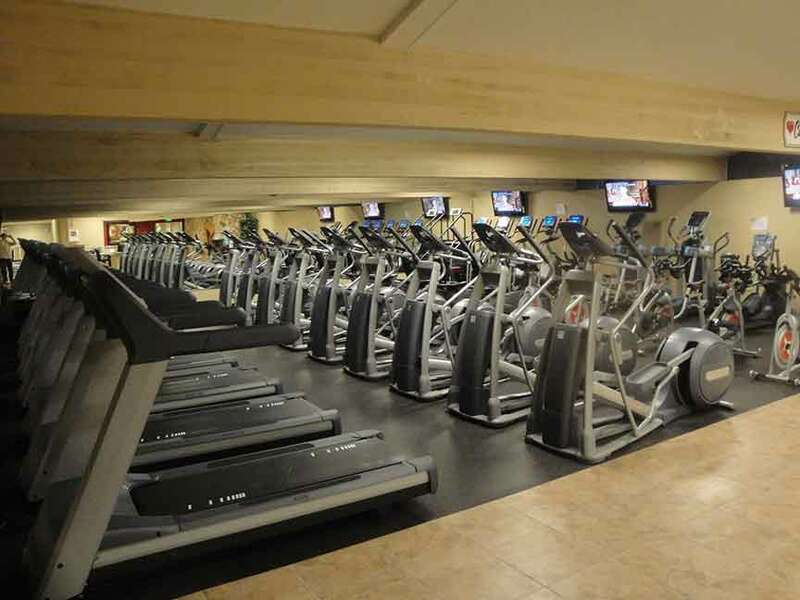 Ellipticals offer a more thorough and intense workout than many other types of fitness equipment. Depending on what a user wants to get out of their workout, an effective workout might consist of toning select areas of their body or burning a certain amount of calories. For example, a person weighing 150 pounds can lose up to 400 calories in just 30 minutes of exercise on an elliptical depending on the speed and intensity of the workout. This makes it a much more efficient use of your time and effort than other types of fitness. Precor Recumbent Bike: The recumbent bike features a step-through design to appeal to a wide range of exercisers of all ages. The simple seat adjustment allows the user to change the position of the seat with one hand, either on or off the bike. A ventilated air flex seat provides exceptional comfort. Precor Treadmills: Our treadmills delivers exercisers a smooth and natural performance with next generation Integrated Footplant™Technology (IFT) and Ground Effects® Impact Control (GFX). Stair Masters: Stair-climbing is a natural movement- it improves your functional mobility, strengthens your core and makes everyday task easier to do. Take longer hikes, climb taller monuments on vacation, last longer on dog walks with your family. Stair-climbing is celebrated by athletes, trainers, and physical therapists because it can only improve your body, but it can improve your life. Step-Mill: Step-mill offer a range of workouts for a variety of fitness goals. Because the moving staircase puts you through a full range of motion, it works your entire leg from your calves to your glutes. Step mill workouts also improve balance as they increase core strength. Beginners should hold on to the sides for support, but advanced users should pick up the speed and work on balance skills by staying hands-free. Start slowly and increase your speed to burn fat, improve endurance and sculpt your legs.